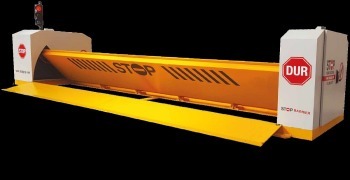 Road blockers are top security equipment to protect and secure an entrance or roads. They work with Hydraulic and Pneumatic systems. Since we are the manufacturer, we supply full service and parts replacement to Roadblocked systems. Roadblockers are top security equipments to protect and secure an entrance or roads. They work with Hydraulic and Pnemautic systems. Since we are the manufacturer, we supply full service and parts replacement to Roadblocker systems.